Sir Didymus is small but he's one scrappy little guy. Think you're going to cross his bridge without getting permission from him first? Ha, think again! He'll charge from the fog without fear, riding Ambrosius like a noble steed. Long ago, he made an oath vowing to guard his bridge and never let anyone cross it without his permission. Why? No clue! He's just a righteous little dude who wants to keep his word. Sir Didymus even brazenly attacked Ludo and Ludo's 20x the side of him! His chutzpah is worthy of applause and now he's riding straight into your heart and your home. Make way for this tiny fluff ball! Instead of protecting the bridge, now he's vowing to protect your home from intruders. If someone comes in without your permission they'll get a swift bite on the ankle! Hmph, serves 'em right! 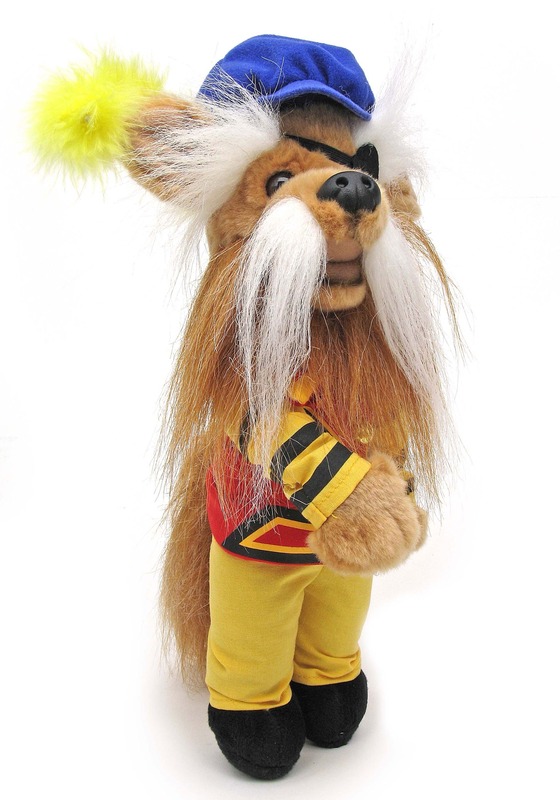 The Labyrinth Sir Didymus Stuffed Figure is officially licensed and stands approximately 11-inches tall. Filled with fiberfill stuffing, this plush has Sir Didymus' most notable features like his blue hat with green plume, eye patch and tufts of fur. 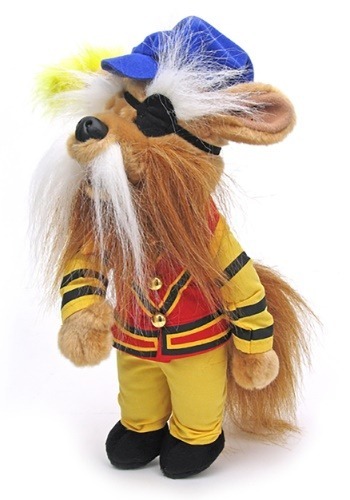 Don't forget to add a Ludo and Firey plush to your cart so Sir Didymus has someone to hang out with when you aren't there.